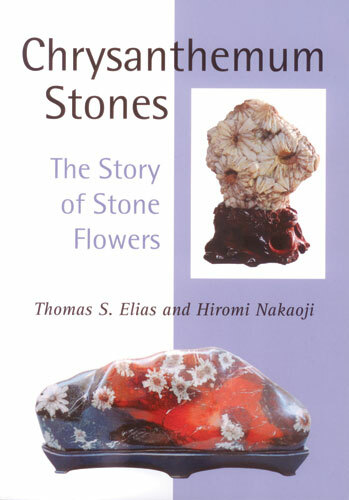 This is the first book in English on these rare and extraordinarily beautiful stones with mineral formations resembling chrysanthemum flowers. A specialized focus of the art of stone appreciation that has flourished in Asia for over for 2,000 years, chrysanthemum stones are regularly exhibited and highly prized among natural artistic stones. Although found primarily in China and Japan, more recently examples are known from Korea and the western United States. The authors traveled extensively in China and Japan to bring together historical information with current new data, and their comprehensive work sets a new standard for books relating to the art of stone appreciation. Now, for the first time, English readers can gain an in-depth understanding of chrysanthemum stones, the geology of their formation, the history of their appreciation, and their various types, forms, and places of origin. This information is generously supplemented with over 140 photographs illustrating the full range of chrysanthemum stones, from the rarest and most valuable to those more frequently encountered in the marketplace. Included is a bibliography, the most complete list of references on the subject ever assembled in one publication. Dr. Thomas S. Elias is a botanist and former Director of the U.S. National Arboretum in Washington, D.C. A specialist on Asian gardens and the use and appreciation of Asian stones, he has traveled and worked in China and Japan for over thirty years. Three of his previous books were selected by the American Library Association as among the best 100 books in science and technology in the years they were published. Dr. Hiromi Nakaoji is a native of Kyoto, Japan, and a graduate of George Washington University in Washington, D.C. She worked as an English-Japanese interpreter, translator, and researcher for over twenty years.